It can be very unpleasant, frustrating and upsetting when your cat starts to shun their litter box for other places in your home. Cat urine present anywhere in the house can make you feel like you are living in one big litter box. Present in a cats’ urine are strong-smelling proteins used to mark their territory with a scent that is almost impossible to get rid of. In order to help eliminate the potent urine scent and prevent your cat from continuing to urinate in inappropriate places, consider these four steps. The first step to solving your cats’ urinating problem is figuring out the reason why. If your cat is urinating in inappropriate areas of the house, he/she is trying to tell you something. Common health issues could be the cause behind your cats urinating problem. If these symptoms apply to your cat, he/she should be checked by your vet. Change Of Environment: If you have recently moved house, have new people in your household or have a new pet your cat may be feeling threatened. Changes within your cats’ environment or schedule can have negative effects on its training. 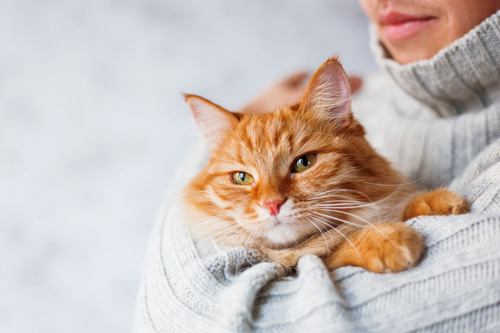 Familiar Areas: If your cat has become used to urinating in a specific spot, he/she will keep returning to that same spot as to them it smells like the right place. Territory: Make sure to identify if your cat is urinating or spraying. Your cat will want to mark its territory, especially if they are feeling threatened. Neutered and spayed cats are less likely to spray, however they may have a reason for feeling the need to claim or reclaim territory. Before ignoring the obvious and rushing your cat to the vet fearing the worst, consider problems that can occur with your cats’ litter box. 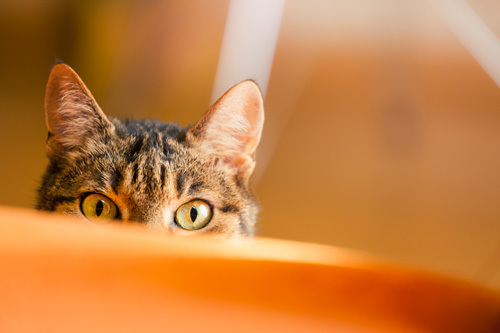 Consider these questions as another potential reason behind your cats’ urinating problem. Has their litter box recently been moved? Are there enough boxes to serve all cats in your household? 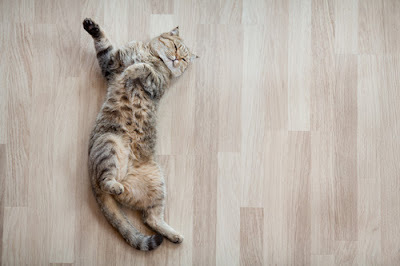 Is something preventing your cat to access their litter box? Is the litter box placed in a cramped area? Could they have reason to fear becoming trapped or not being able to easily escape? Is the litter box located in a spot that offers them privacy? Does the box have a hood or sides that are too high? Has your cat ever been interrupted or upset while using their litter box? 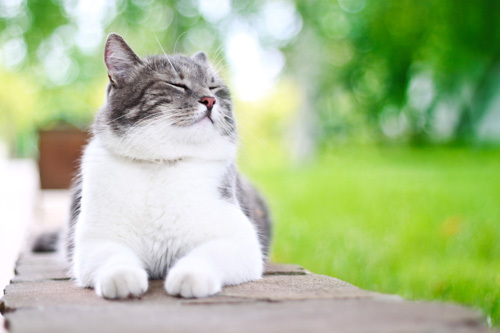 If your cat has been urinating where it shouldn’t, all traces of the smell need to be removed. If the urine is not successfully cleaned up, your cat will continue to return to its preferred area as he/she can pick up the scent. Citrus! Cats hate the smell of it. Here are three great cat cleaner/repellent recipes you can make at home. Ensure your cats’ litter box is located in an area they can easily access which still provides them with some sort of privacy. Try moving the box to their preferred location and slowly moving it back to where it should be or move it to several different areas until it becomes comfortable with one. The general rule of thumb is one litter box per cat, plus one extra. Ensure if you have more than one level in your house to place a box on each floor. Although an enclosed litter box may suit your decorative standards better, it does not mean it fits with your cats’ toilet standards. Ensure their litter box is not enclosed or has sides that are too high. Dirty litter is one of the first things that will send your cat in the other direction. Cats have a very clean nature and therefore need a clean are to do their business. Ensure you are consistent with cleaning out the box and changing the litter. Litter that is heavily perfumed may seem like the best choice, however cats tend to disagree. Studies have revealed that majority of cats prefer a loose, clumping and unscented clay litter containing activated charcoal. If you have a new guest in the house (cat, dog, baby, roommate) or other changes, give him/her time to adjust and get used to the change. 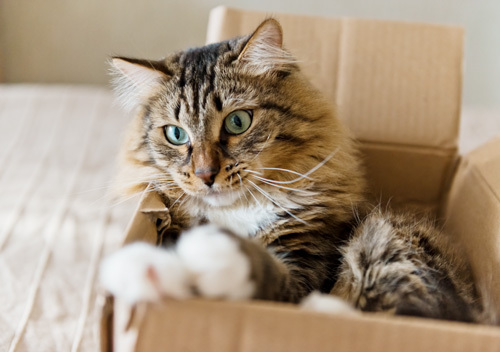 Moving to a new home is not only a big change in your life, but also your cats’. Your cat will have to adjust to a new territory and maybe a new scent from a former tenant’s pet. You will need to ensure you remove all odours so your cat doesn’t feel the need to mark its territory. Make sure you are giving your cat extra, affection, attention and praise. Reassure him/her that they are loved and an important part of the family. Hopefully these tips help with keeping your kitty in its litter box and out of your living room! Wondering why your dog is channelling their inner cow and eating grass? Here's why.